Human resources professionals are a key way for businesses to comply with state and federal regulations that govern hiring, firing, benefits, discipline, and much more. Even small businesses can benefit from having at least one human resources coordinator present throughout the day to help employees learn the ropes of their new position in a growing organization. The real question is: How many employees should you have before hiring a human resources coordinator? It’s hard to answer this question uniformly for every organization, but experts in the field have put together a few recommendations that will guide smaller companies to success as they grow their staff. Typically, high-performing organizations require a larger human resources presence than do businesses with a slow rate of growth. The reason for this is quite simple: The organization is moving quickly, hiring quickly, and requires a more efficient way to select, interview, hire, and process employees on an ongoing basis. Typically, organizations of less than 100 people should hire their first human resources coordinator after they’ve taken on 16 or 17 employees. 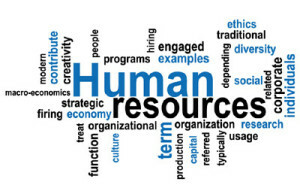 Thereafter, one additional human resources professional should be hired for every 16 employees hired. Ideally, there should be no less than one human resources professional for every 20 employees in a smaller organization that is performing at a particularly high level. As with all things in business, however, needs are relative. If business owners believe that they need an even more favorable human resources ratio, they can certainly hire additional HR staff to handle employee demand. The opposite is also true. The key is to make sure that all employee needs are handled and that the organization’s competitive advantage isn’t stifled by unanswered human resource concerns. Organizations that aren’t growing at a tremendous pace can afford to hire fewer human resources professionals over time. These companies should be prepared to hire a human resources coordinator once they’ve taken on 22 or 23 employees. Thereafter, a new HR team member should be added for every 22 employees that the company hires. The ideal HR ratio in this case would ensure that there was at least one HR professional for every 25 people in the organization. If the company starts growing faster, and becomes a high-performing business, then it might make sense to hire an additional one or two HR coordinators to meet increased demand. While the general consensus is to hire an HR coordinator after 16 or 22 employees have been hired, this is only a loose guideline. Business owners who lack a thorough understanding of HR concepts might want to make an HR coordinator the third or fourth person they hire for the company. Essentially, it’s a good idea to hire such a professional as soon as the company requires group benefits policies, retirement packages, and greater levels of hiring. In this case, it’s better to be safe than sorry. No matter the organization’s size, scope or growth potential, human resources professionals can help it meet competitive objectives while serving employees efficiently and fairly. According to Tableau Public, take professional guidelines under consideration, but make sure to always hire an HR coordinator as soon as it becomes apparent that human resource work requires a dedicated, full-time individual.